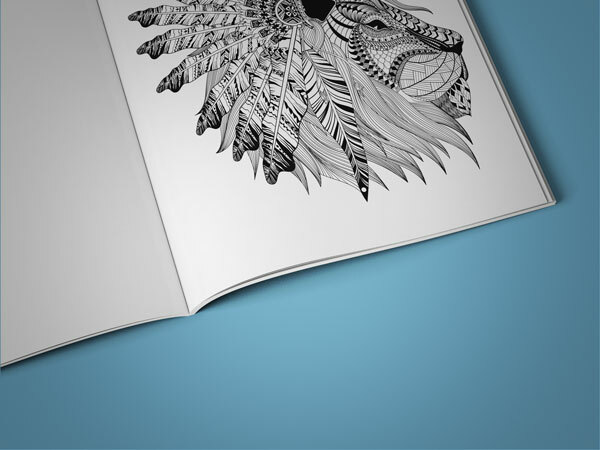 It’s no wonder why the coloring craze has taken off so quickly – there are some great tangible benefits of Adult Coloring Books. Coloring might be a popular activity that has taken over bookstores and art stores starting in 2015, but it is an activity that has been known to have many benefits for over a century. Over 100 years ago, Carl Jung was prescribing coloring to his patients. Coloring is still good for the things Jung was prescribing it for, and now we know of many other benefits as well. 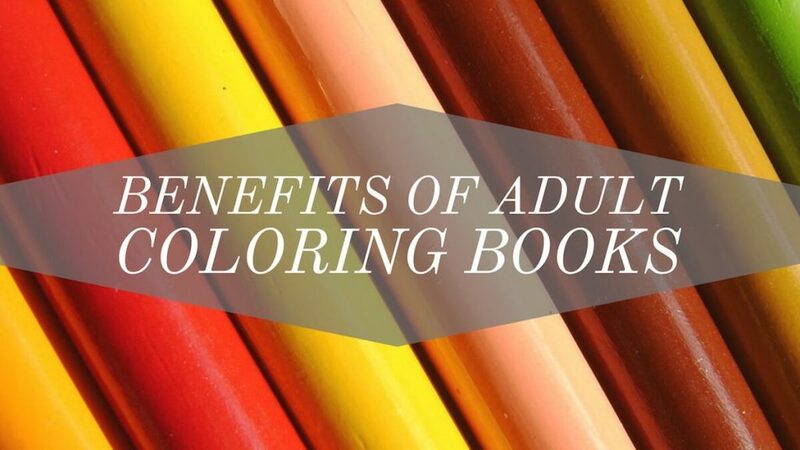 The relaxing benefits of adult coloring books are probably the most loved benefits people experience. As any person who colors, they can tell you that adult coloring is both relaxing and calming. It decreases activity in the amygdala, and it lowers levels of cortisol. Coloring helps people enter a relaxed state of mind. Brain scans have shown that coloring causes the brain to light up in the same way that meditation does, which helps to explain why coloring has the relaxing effects it does. Coloring helps people calm down after just a few minutes, and when you do it every day, it has an even greater effect. Coloring brings people together, and it is a great social lubricant. It gives people something to focus on that they can do and still carry on a conversation, which makes it the perfect activity for breaking the ice with new acquaintances or spending time with old friends. There are groups of adults that get together to color. These coloring clubs or get-togethers are a great way to relax and commune with friends. Bring some extra coloring pages and pencils to your table and you may even meet new people since it is very hard to resist sitting down to color. Not only Adults, but kids, teens, and Senior Citizens are starting to color more! It is really a great social activity for any age level. Heck, even men are loving their manly coloring books with the coloring images designed specifically for a male audience! Coloring is great for artistic inspiration and creativity. Also, what many adults love about it is that coloring books for grown-ups offer a structured activity that doesn’t require anyone to design anything themselves. Since it is also a creative activity, therefore it can easily spark ideas in other areas of your life. Since creativity is similar to a muscle, it helps strengthen your creative side. Don’t be surprised if, while you are filling in spaces in a mandala or a bunch of flowers, you get a great idea for a painting to do, or realize how you want to decorate your living room or get an idea for a new novel. You may even have an idea that comes to you related to your work life. Sometimes problems are easily solved when you just relax your mind and forget about your worries. Creative are much easier to follow when you are in this state of mind. For many people, coloring is very nostalgic. Because of this nostalgic activity, coloring is therapeutic since it brings people back to a happier, simpler time. 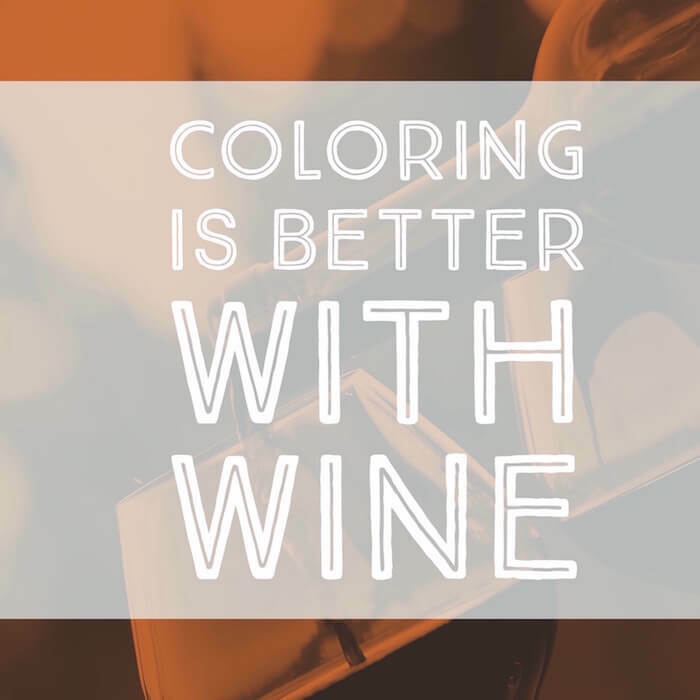 Just like a smell can bring back memories, so too can coloring bring back that nostalgic feeling. If the last time you colored was in kindergarten or 3rd grade, it’s likely to evoke some great memories and feelings. Sitting down with a coloring book is liable to pull you quickly back into a mental state when you were young and had nothing to worry about except whether your shoes were tied or when you would be able to go out and play with your friends. 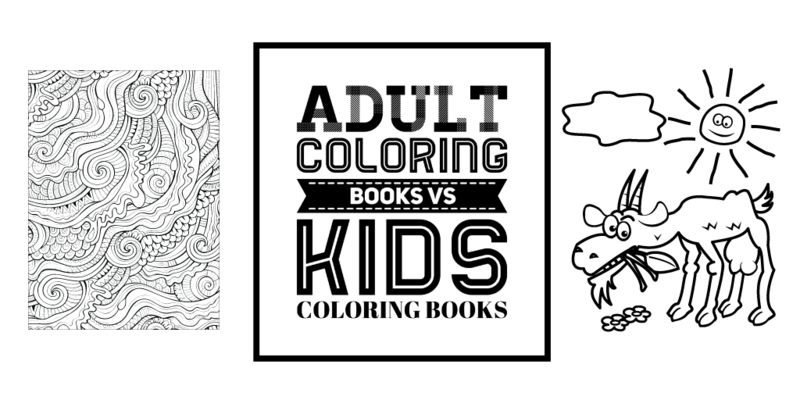 The benefits of adult coloring books vs. kids coloring books are that you will enjoy coloring them more! They are much more intricate and well-suited for adults compared to the simplistic children’s coloring books. Too many of us are conditioned to have a lack of concentration. It’s simple if you think about it. Anytime you listen to a song on Pandora, watch a youtube video or watch TV; you are constantly interrupted by commercials. Not only that, there are so many bright and shiny things, new apps, new technology, new great shows, that it makes it harder to focus on mundane tasks. Compared to games, apps, and great tv shows like the game of thrones, mundane tasks seem harder to focus on because they lack the excitement we are used to in this technology-driven world. Meditation has long been known to negate the effects that the 21st century has on people; mediation has been very successful at helping people focus better. Coloring is very similar to meditation. It offers you the ability to focus on a focal point, or nothing at all. So your mind can be still like water, like a vast uninhabited lake. No ripples. Every though and worry we have creates ripples in our consciousness. With coloring and mediation, we can train ourselves to reduce those ripples and focus on the task at hand – no matter the task or job. The great thing about coloring books for adults is that they are typically pretty intricate. You can focus in on the task at hand. This helps you focus on one task at a time, whether it is right after coloring or the next day. Coloring often, just like meditating often helps train your mind to have better focus, and to concentrate for longer periods of time. When you color, you are essentially making art; the result is that you create a stunning picture. It doesn’t matter that you didn’t design the outline of the artwork yourself – you colored it, which makes it yours. Coloring is what makes it more art than anything else, because you can use your infinite creativity to make something completely unique. There are also many coloring techniques that can push your artwork to its fullest. In fact, many adults like to use it as a decoration or for a DIY project. Why leave your finished page in a book when you could create beautiful decorations out of it? Many people use their coloring pages to make decorations for their homes. There are all sorts of ideas online for things you can make with coloring pages, from decoupage projects to meaningful greeting cards, or even just pieces of artwork that you can frame. Even if you don’t make anything new with your artwork, just the pleasure of coloring something beautiful is in itself more than enough reward to be very therapeutic. Artists often speak of getting in “the zone,” where they are just in a trance-like state, and they don’t even notice time passing. This trance like state can also what happen when you get into a coloring project. It is easy to start becoming so focused on your coloring that the rest of the world fades away. It turns out, this “zone” is very beneficial and therapeutic. This is where you get the effects of stress relief, lowered blood pressure, and much more. You may notice that you think more clearly or that you are calmer after a period of coloring – this is why. Ultimately, coloring is all about having fun. It is true that there are both scientific and anecdotal benefits of adult coloring books, but it is really about doing something that is fun and makes you happy. Do it because it makes you happy. Do it in the way that makes you happy. There’s no right or wrong way to color; just get a box of colored pencils or crayons and do it! Some do it for the excitement of the result of their artwork, some do it to socialize with friends, some do it because of the trend, some do it because of the process of stress relieve. It doesn’t matter how or why you color. You can color inside or outside the lines, in shades of one color, or with your new Prismacolor set! It’s just important that you color. So what are you waiting for? Let us know in the comments what adult coloring benefits that you experienced when you started coloring. Also let us know what adult coloring books you would recommend, or anything else that you want to add! We’d love to hear from you. Shoot us a message and we will get back to you ASAP!